One regret I had about traveling to the Micronesian island of Palau was not being certified to scuba dive and therefore not having the opportunity to be surrounded by dozens of sharks in the famous Blue Corner. For most people that would be a benefit, not a regret. I actually was certified many years ago, but definitely would have needed a serious refresher course before feeling comfortable enough to dive in one of the world’s most renowned scuba diving locations. 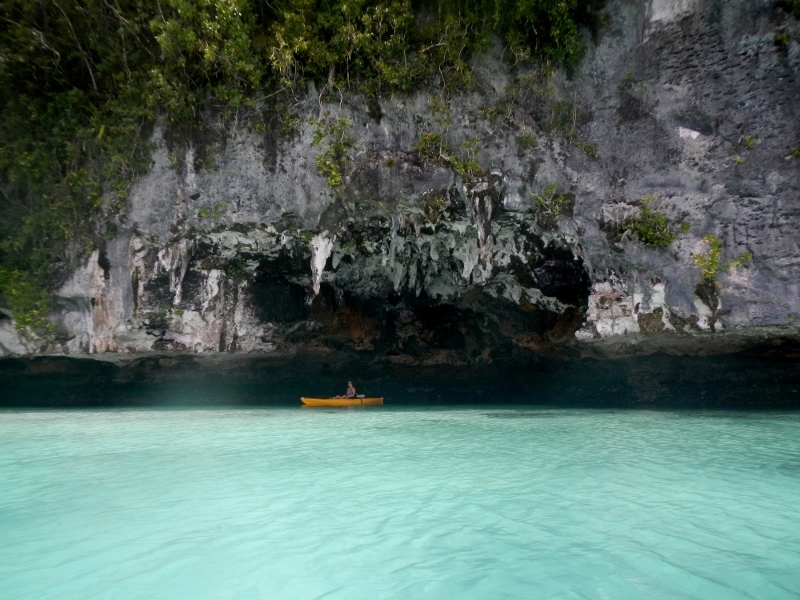 But, it turned out that there were three other ways of exploring the island of Palau by sea that proved to be visually fruitful too and not totally sans sharks. I mean a shark. There was only one. 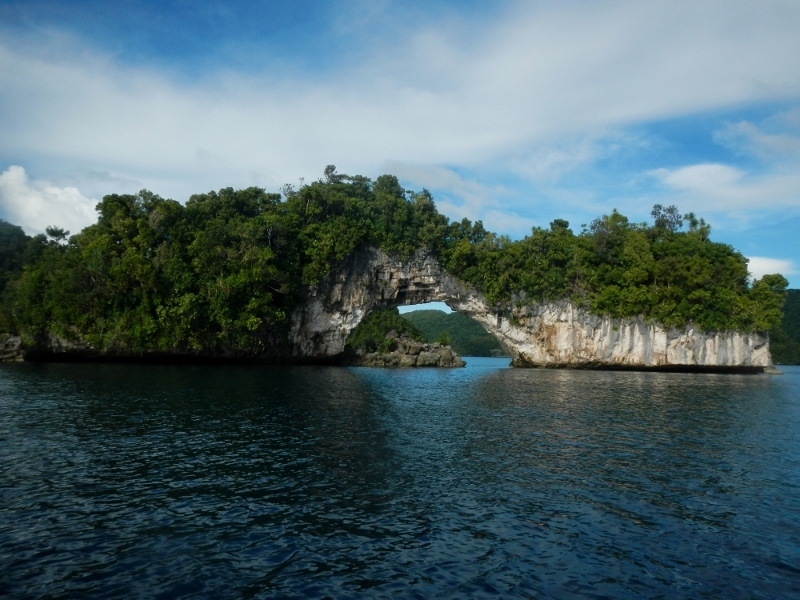 The next best thing to scuba diving in the waters surrounding Palau island is snorkeling and those of us without diving certification would be doing it for three days of this water-filled trip. Each morning we were guided by a different reputable company through the Rock Islands. With Sam’s Tours we had one of my most memorable bucket list experiences by being enveloped in jellyfish while snorkeling in the World famous Jellyfish Lake. Luckily, these critters were stingless, because they may have initially scared me more than the sharks. They also took us to Clam City to witness the giant mollusks that can potentially grow more than four feet. Stuck on the bottom of the sea, they didn’t frighten me nearly as much as the jellyfish. Neco Marine did take us to the Blue Corner where the lucky certified divers were surrounded by grey and white tip reef sharks, while I snorkeled trying to spot a stray shark from the top of the water. And I did see a lonely one from the ocean’s surface. 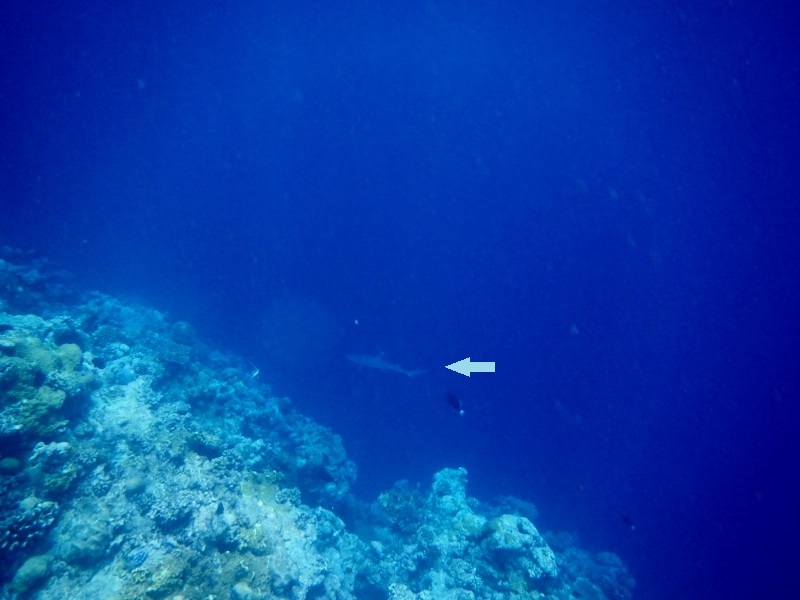 Instead of turning to rapidly swim in the opposite direction, I chased it until it disappeared into the depths of blue. Lastly, Fish n’ Fins took us to New Drop Off where my bucket list goal of ‘swimming with a school of fish’ was easily checked off about a dozen times over. There was even a sweet turtle floating about. 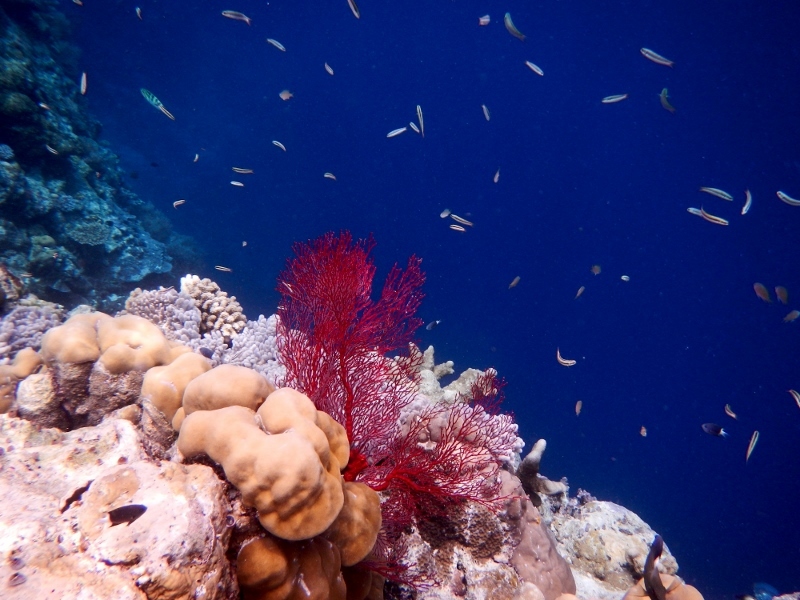 Plus, the color of coral was vibrant, making it look as if we were inside of an aquarium instead of the warm Palau waters. 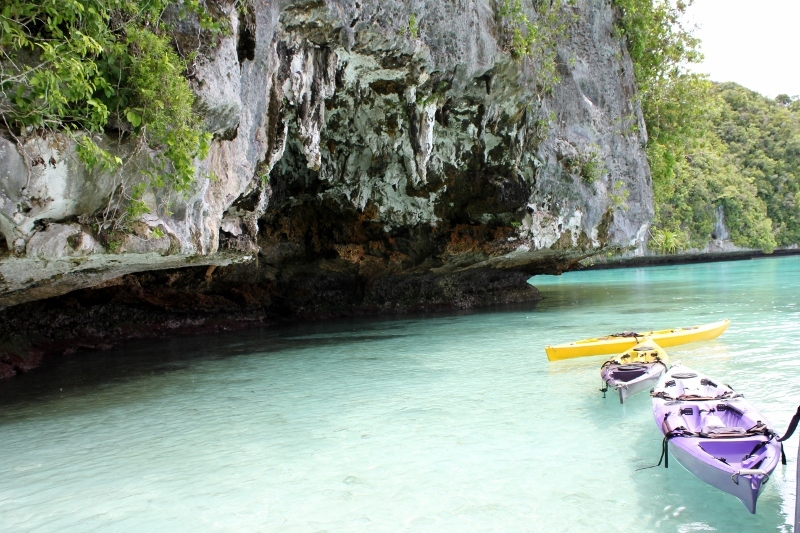 Snorkeling wasn’t the only way to explore the Palauan waters, kayaking was a viable option too. 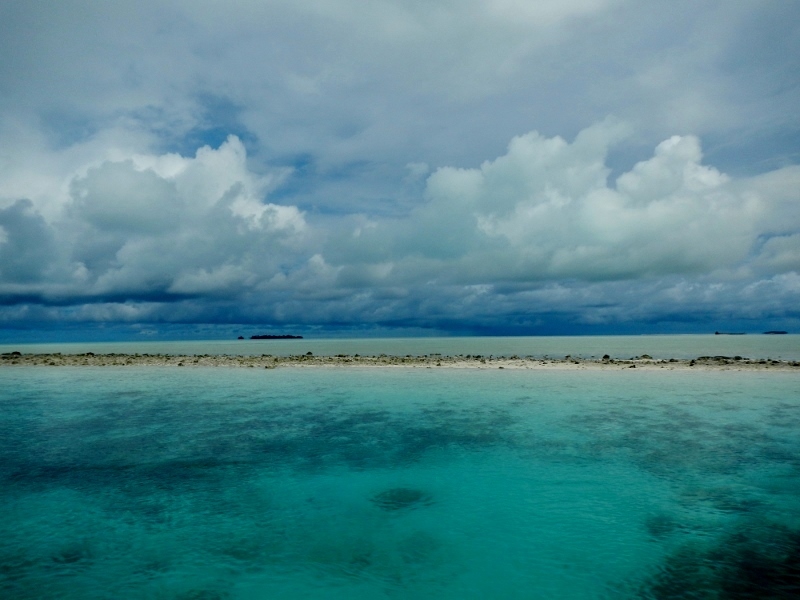 Sam’s Tours led us along the edges of the islets and in shallow enough water to see the Sea cucumbers on the sandy floor. We were able to squeeze into spaces that the motor boats could not possibly fit into. In between the snorkeling and kayaking we boated through the Rock Islands exploring all of its nooks, weaving in and out of the hundreds of islets. A different perceptive. And even though the weather and views were mostly perfect, there was one day traveling by boat where we were caught in a storm. 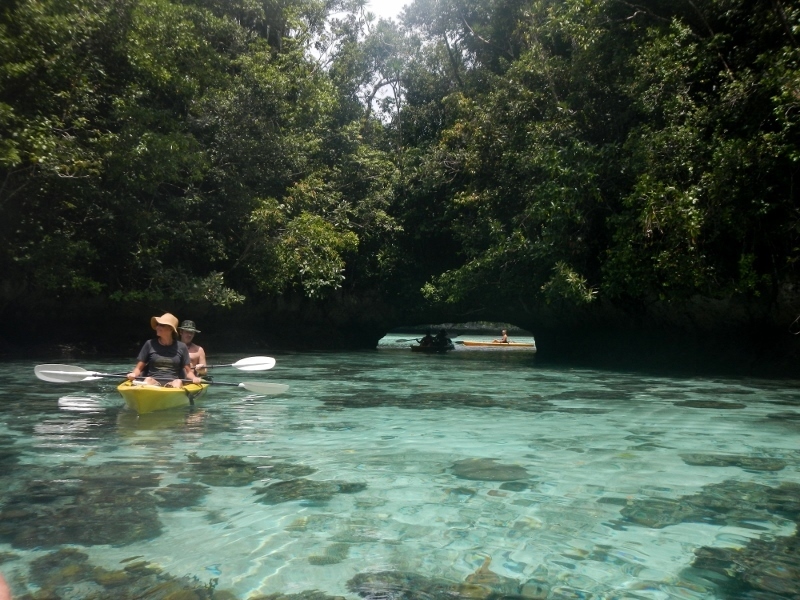 …and we were all still smiling because it just added to the adventurous and memorable experience of Palau. 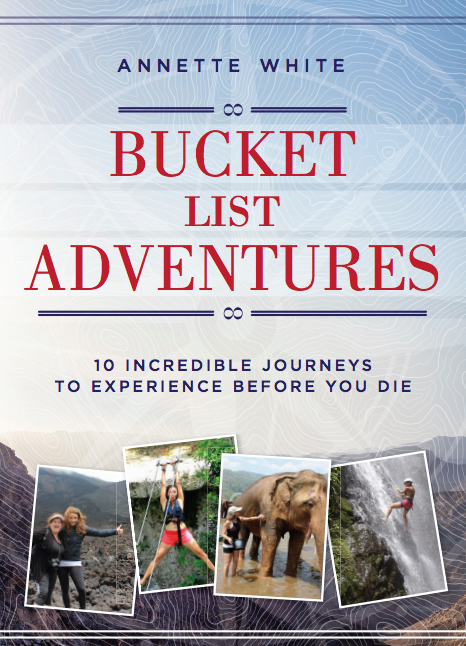 Is exploring Palau on your Bucket List? 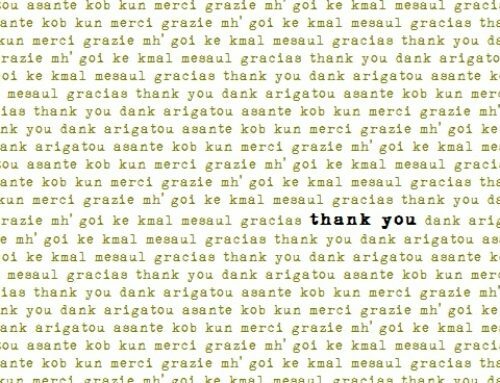 Disclosure: I was a guest of Palau Visitor’s Authority, but all the words I write come straight from my, sometimes distorted, mind. Just as it should be. Such an incredible beautiful corner of the world. I can’t wait to swim in Jellyfish Lake one day. Thanks for sharing your experience and lovely pics. Jellyfish Lake was AMAZEballs! One of the most memorable experiences. I hope you make it there! That all looks amazing. You’re pictures taken during the kayaking are gorgeous, I can only imagine how it looked in person! Thank you! With such a beautiful background to work with, it was easy to take nice photos. Yeah, swimming with sharks is most definitely NOT on my list, but the scenery of this tiny country is gorgeous! I’d love to kayak through those rocks! 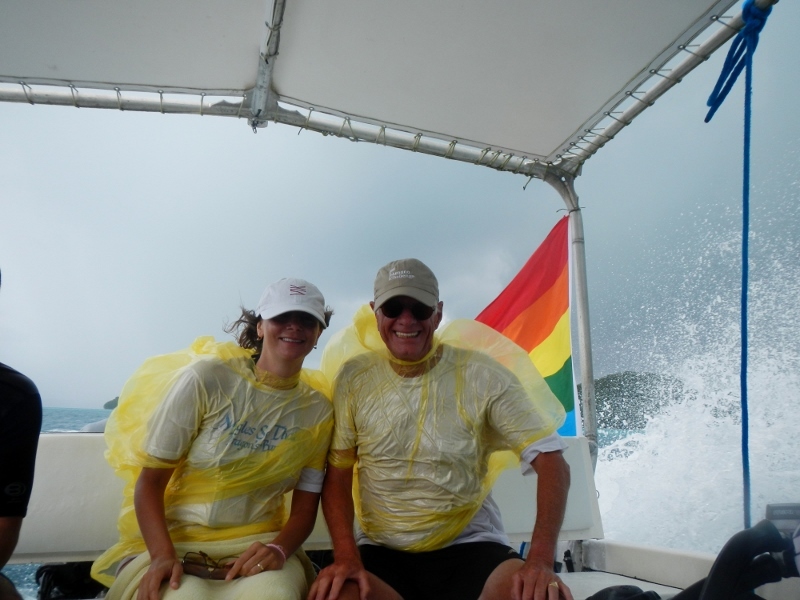 The LGBT flag definitely brightened that stormy day on the water!! Just WOW!!! Incredible natural beauty.Love the pictures specially with jellyfish, you look simply fabulous among them 🙂 Look at that, a shark???? Looks like alot of fun. Definitely in my bucket! I love Palau! It has always been one of my favorite diving spots in the world, if not my most favorite one. 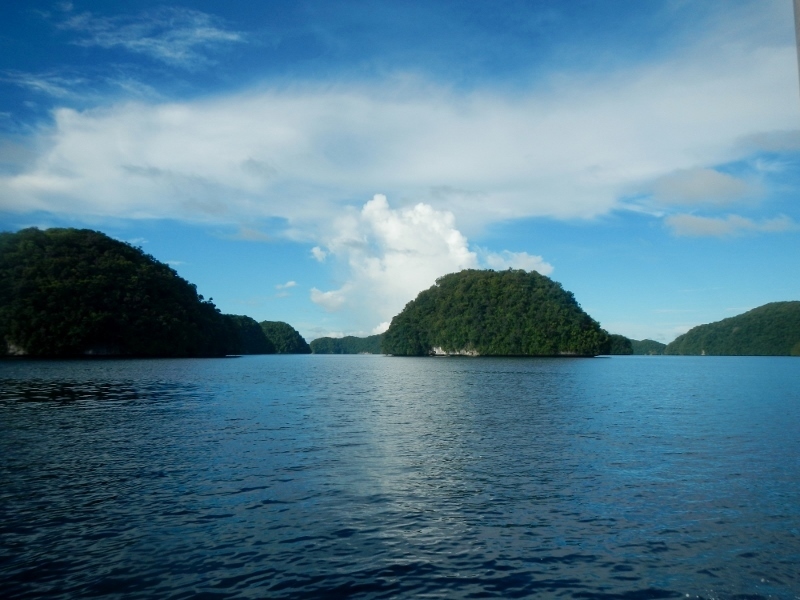 What I love about Palau is its serenity and how it kept its beauty even the fact that it was a battleground during WW2. It is so beautiful! I only wish I was certified to dive when I went! My friend is in a relationship with a woman from Palau. I had a chance to speak with her, after having heard about the Jellyfish Lake and everything that sounded so serene. I want to go there even more now. I think this is one of the most interesting places on this planet. This was one of those extremely unique experiences that leaves a lasting impression. I mean, you are technically not suppose to be able to swim with jellyfish! I count it as one of my favorite things that I have ever done. I have a chance to visit Palau next month, but I have never been diving. I will most likely be kayaking and snorkeling. Would you recommend I hold off on visiting until some time in the future when I am certified, or would you counsel me to go ahead and visit anyways? Also, is the snorkeling at the dive sites worth it? Or is it better to just snorkel on the kayaking trips? I would not put off your trip because the snorkeling is amazing! You may not be able to see the giants clams up close or be surrounded by sharks, but you will see them from afar and plenty of other stuff. We were snorkeling in many of the same spots as the scuba divers and it is worth it, though it does depend on what you want to see. I enjoyed the diving spots that were closer to reefs, than the ones that weren’t. Make sure to go to Jellyfish Lake, it ranks as one of my favorite experiences ever! Palau is really awesome! I ve been in Palau in 2016 and had really a great time! The nature is amazing, diving is absolutely stunning and the people are friendly! We came from Amsterdam with stops in Bangkok and Taipeh! It really took a long time but really was worth it! Just the prices for hotels are quite expensive and you have to book early to get a good price for a decent room (http://palauvisitors.com/ would have helped me a lot find a good hotel). I’m definitely goind back to Palau soon!